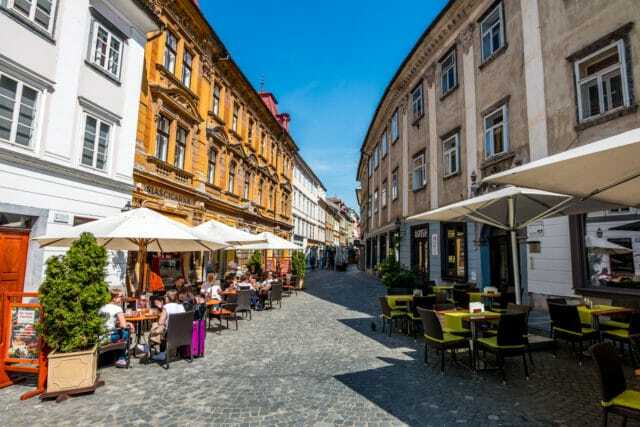 Ljubljana Tourism carried out a survey in 2018 on habits, expenditures and expectations of congress guests in the Slovenian capital. This year again, the survey confirmed that participants of international association congresses and other types of business meetings are among the most desirable visitors due to many multiplier effects and considerably higher expenditure. WHO ARE THE CONGRESS GUESTS IN LJUBLJANA? The survey was carried out in autumn 2018 during five international congresses and it sampled 407 participants (out of total 3,640). SECTOR: 42.2% – public sector; 30.9 % – private sector; 17.7% – students. HOTELS, GUEST HOUSES, B&B: 64.8%. Hotel occupancy at the time was between 96.8-98.2% in Sep-Oct, and 90.8% in Nov.
INCREASE IN Airbnb and in PRIVATE ROOMS: Airbnb – 18.4 % in 2018 (from 13.3% in 2017); private rooms – 30.7% (from 24.3% in 2017). * Based on data from the survey carried out by Ninamedia in 2018, the comparative expenditure of leisure tourists, with included accommodation and transportation to the destination, is EUR 144/day. ***Based on data from the survey carried out by Ninamedia in 2018, the comparative expenditure of leisure tourists, with included accommodation and transportation to the destination, is EUR 144/day.